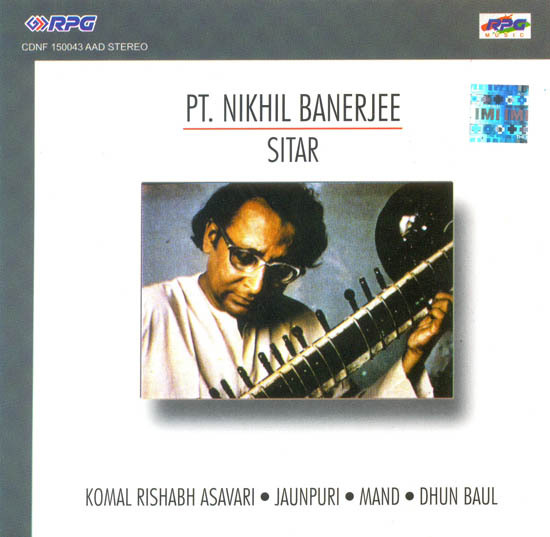 Nikhil Banerjee born in 1931, started his musical training very early at the feet of his father the late jitendra Nath Banerjee. He was something of child prodigy for he won the highest honour in an all Bengal sitar competition at the age of nine. Late he was introduced by the distinguished musician Kumar Birendra Roy Chowdhury of Gauripur to Ustad Alauddin Khan of Maihar the doyen of North Indian instrumental music under whom he had an intensive training. Subsequently he became a displine of Ustad Ali Akbar Khan, the sarodist of international fame.